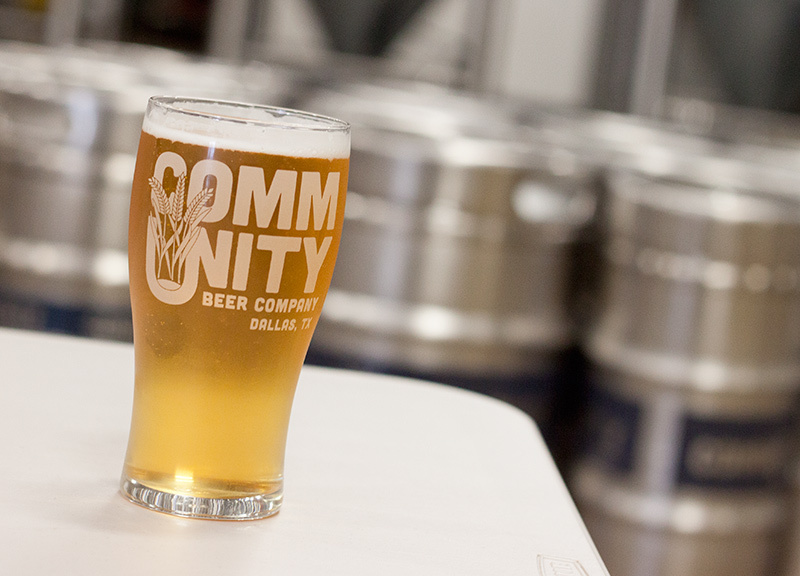 Community's Texas Pils Finishes Better Than It Starts. Welcome to On Tap! Each week in this recurring feature, we'll take an in-depth look at one of the many beers now available in the suddenly crowded North Texas brew scene. The goal here is to look at these area beers without our local goggles on, and to wonder aloud, “Is this beer good or do I just like it because it's local?” Should be a fun experiment, no? Cheers to that! 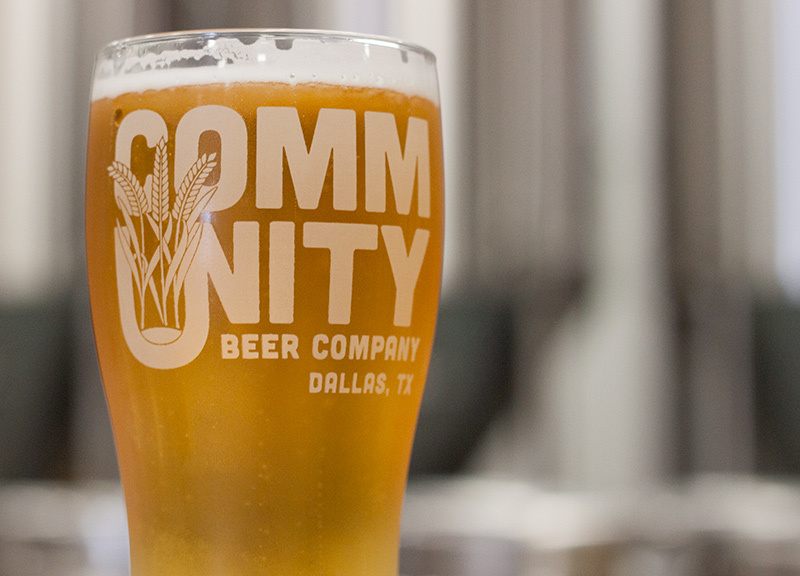 This week, we sipped on Cimmunity Beer Company's Texas Pils. 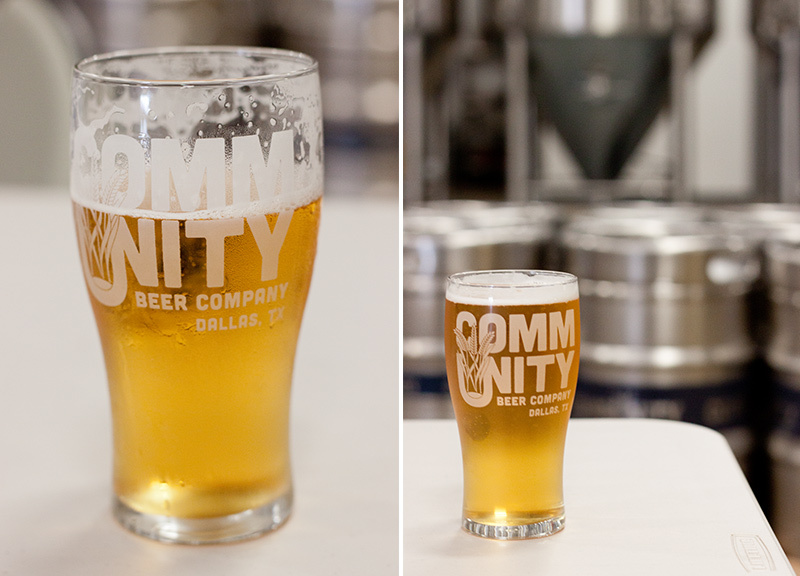 Fast Facts on Community's Texas Pils. â€¢ IBUs: 50 International Bittering Units. â€¢ Malts: 90 percent Hanka Pilsner, plus specialty grains. â€¢ Availability: Seasonal. Check your favorite local beer haunt. Now that the West Dallas-based Community has officially received its TABC stamp of approval, the company's latest seasonal offering — the Texas Pils — should be hitting the taps of your local craft beer bars sooner than later. And, thanks to some new Texas beer laws, this new brew is also available at the new Community Brewing Company taproom for sampling. That's where I tested this beer. And I did so while sitting down with Community's head brewer, Jamie Fulton, who took the time to explain his desire to brew a bigger German style Pilsner — though not one so big that you would call it imperial. Instead, Fulton focused on slight enhancements to the hop bitterness and alcohol levels. Where a normal German Pilsner might fall within 25-45 IBUs and sport a 4.4 to 5.2 ABV percentage, Texas Pils boasts 50 IBUs and 6.1 a percent ABV. Texas Pils is also unique in that it showcases two somewhat unusual ingredients — Hanka Pilsner malt (an heirloom variety of Pilsner malt typically originating from the Czech Republic) and Polaris hops, a new German hop variety. A Primer on German Pilsners. A German Pilsner will typically feature a light grainy malt aroma (the BJCP style guide refers to this as â€œgraham cracker likeâ€) and flowery or spicy noble hops. German Pilsners will have a medium mouthfeel with medium to high levels of carbonation. As for flavor, German Pilsners are clean brews that may have a bit of malt sweetness. Mostly, though, they're a vehicle for showcasing the hops used in the recipe, which you'll notice in the beer's lingering bitter taste. Texas Pils certainly looks the part of a classic Pilsner. It pours a very clear gold with a deliciously frothy white head. What really stands out, though, is the incredible lacing of the foam as the beer is consumed. Texas Pils is one of the only beers that Community filters — and it shows. 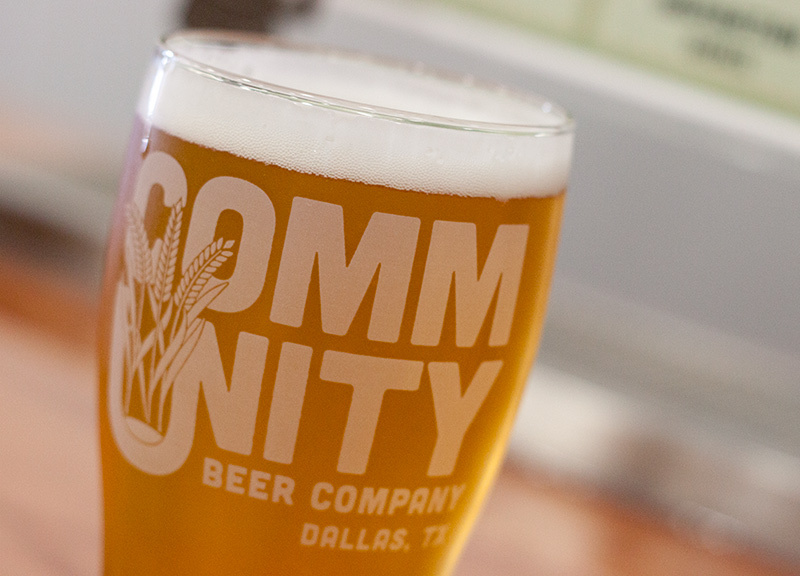 Community's Texas Pils is a near-perfect match on the style guidelines. There's a faint biscuity malt aroma that's layered with a spicy noble hop bouquet. Here's where the Texas Pils differs. It's not the flavor profile you might expect from a classic Pilsner. The initial sip reveals a strong residual sweetness that's actually a little off-putting, followed by very intense hop bitterness. Upon first taste, it feels unbalanced and messy. My opinion changed, however, once my palate acclimated to the flavor. The sweetness you first taste eventually fades away and, rightly, the beer becomes much more about the hops. Since the idea was to brew a bigger beer, Fulton can get away with a more aggressive hop profile and alcohol content. Re-reading the BJCP style guidelines for a German Pilsner, Fulton pretty much hit on all the core elements. Medium mouthfeel with high levels of carbonation make this quite a refreshing beer. 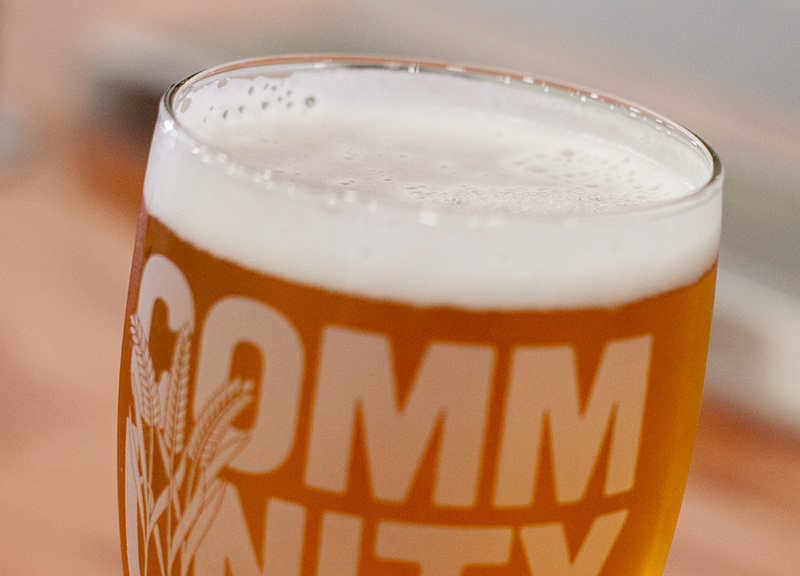 For starters, Community couldn't have chosen a better name than Texas Pils for this one. As the cliche goes, yes, things are bigger in Texas. I suppose that applies to our Pilsners, too. But Texas Pils is definitely not a craft Pilsner that you could use as your next gateway beer for your loyal BMC (Budweiser, Miller, Coors) friend, but if you already appreciate full-flavored craft beer and have an affinity for hops, then Texas Pils will satisfy. As much as I ended up liking this beer, I have to ding it a few points for those rough initial impressions. A few tweaks to the recipe could help make this a more balanced experience throughout the consumption process. On a scale of 1-10, I'd give Texas Pils a 7.5.
â€¢ Thursday, August 8. Revolver's Blood & Honey bottle launch party at Central Market (Fort Worth). â€¢ Saturday, August 10. Official Texas Pils release party at Community Brewing Company. â€¢ Peticolas' Royal Scandal: 10.
â€¢ Martin House's Day Break: 8.
â€¢ Peticolas' The Duke: 6.5.
â€¢ Lakewood's La Dame Du Lac: 5.5. Previous ArticleThings To Do on Thursday, August 8.